12. 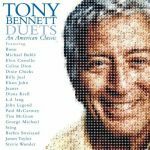 Tony Bennett with Elvis Costello - Are You Havin' Any Fun? 19. Tony Bennett with George Michael - How Do You Keep The Music Playing?